In alignment with SUNSET®’s spring promotion, DMA Solutions created the Hello Spring! Kitchen Hacks and Tasty Snacks eBook that features content from three blog partners. Brimming with recipe inspiration and helpful tips for organizing in the kitchen, meal planning, meal prepping and spring cleaning, this eBook delivers page after page of value to shoppers - from young families to empty nesters. 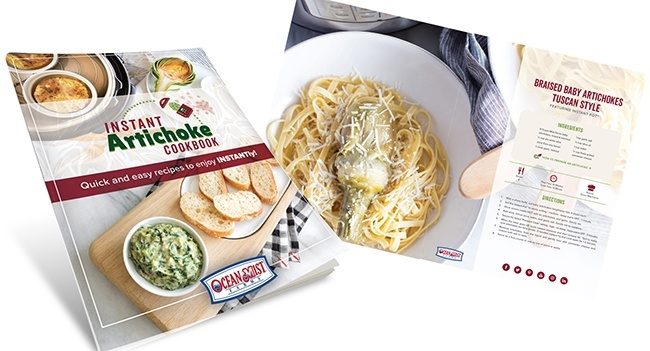 Launched during Ocean Mist Farms’ peak spring artichoke season and in conjunction with the Instant Artichoke Giveaway, the Instant Artichoke Cookbook is filled with appetizer and entrée recipes using the one of the hottest kitchen gadgets on the market, the Instant Pot™. Addressing shopper inquiries about how to cook with artichokes as well as meeting consumer demand for convenient meal solutions, this cookbook was developed to showcase just how easy cooking artichokes in an Instant Pot™ can be! 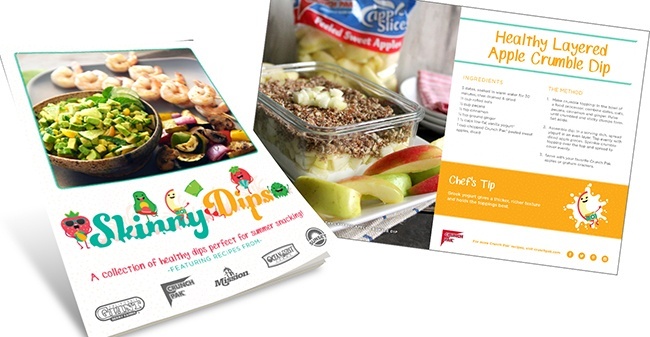 The Skinny Dips eBook brings together five fresh produce brands in a summer snacking collaboration to provide consumers with unique, delicious and nutritious dips to enjoy all summer long. The combined efforts of multiple brands created exponential brand reach for each partner and gave consumers a wide variety of fresh and healthy snacking options to choose from. 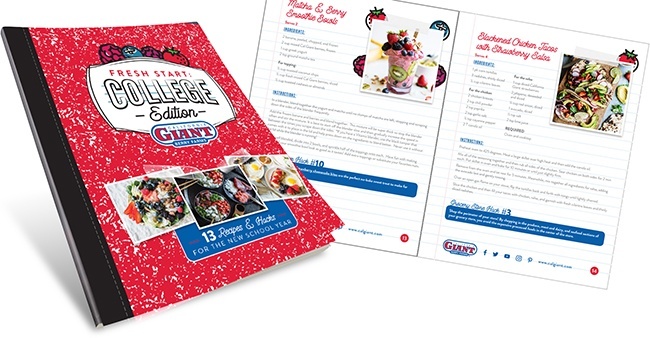 California Giant wanted to expand their back-to-school target audience beyond moms of school-aged kids with this digital download. The Fresh Start College Edition eBook was developed with busy college students in mind. 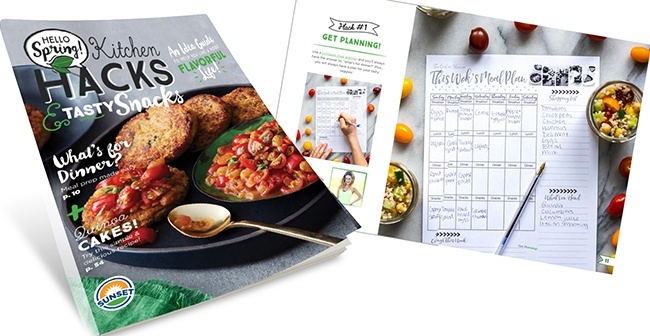 The eBook content encouraged healthy eating choices while also addressing the need for recipes that are easy to prepare (and that won’t break the bank!). The eBook was made even more relevant to this target demographic with helpful dorm room hacks and grocery shopping tips! Filled with citrusy snacks and fun activities, Summer Citrus from South Africa’s Simple Summer Treats & Activities eBook provides ideas and inspiration for parents to create sweet, summer memories with their kiddos. Coloring pages, fun facts and word games offer both kids and parents a fun way to learn about the country of South Africa. Tapping in to the cast iron cooking craze, the Sizzling Berry Skillets eBook showcases California Giant’s delicious berries with gorgeous photography and mouth-watering recipes. This incredibly popular eBook garnered record-setting downloads, proving that relevant content that highlights popular food trends is a winning formula for fresh produce brands. SUNSET® Produce wanted to develop a unique printed piece to offer consumers that was on trend and creative. 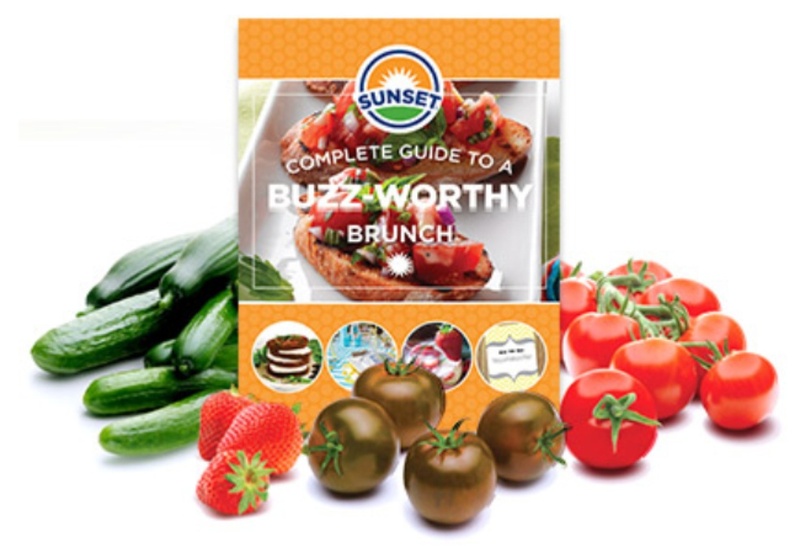 DMA Solutions developed the Complete Guide to a Buzz-worthy Brunch ebook to position SUNSET products as a hero ingredient for this increasingly popular eating occasion. The United Fresh Produce Association wanted to find a way to provide marketers who attend the annual BrandStorm conference with actionable takeaways and notes on each of the conference sessions. 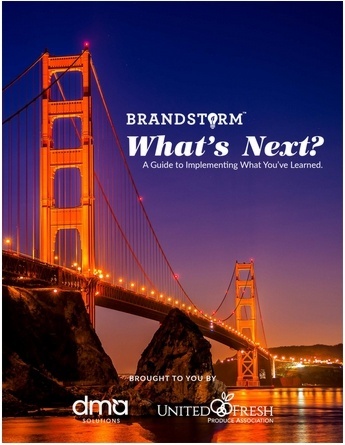 DMA Solutions worked with United to create a guide for Brandstorm attendees to implement what they learned by providing session recap notes, highlights and recommendations for what to do next. Build consumer engagement with your brand. We can help deliver exciting content to engage your audience.